This article is not about how much mileage you have done and is it enough, it’s not about whether you have been at the track enough, it really has very little to do with training. You have probably heard this already but let me say it again, the Comrades marathon is 20% training and 80% Mental Prep. So today we are going to focus on that 80% because if you can adequately prepare mentally then you pretty much have the race in the bag. 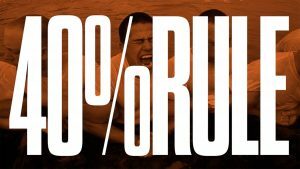 The other 20% is done already, by the end of April, all your training is done and you start to sharpen up. We are going to look at three main categories, Nutrition, Gear and Mental Prep. I don’t necessarily put this into a mental prep category but I think we can all agree that if your nutrition is not right it will impact on you mentally. Make sure that your runs and your remaining runs are used to test all your nutritional requirements, all of you should have at least done a marathon to qualify and in that saw where your weaknesses were with regard to eating and drinking. In your regular long runs test different foods and drinks to make sure they don’t adversely affect your stomach during your run. Practice eating all the way through, don’t let yourself get hungry, it’s too late then, my suggestion is start nibbling on the start line already. Nutritional requirements are the same for everyone in only one way, everyone need carbohydrates and Electrolyte replacement during a race, the rest is very personal and specific to each person, someone may use Gu, another may get sick from it, test what your body likes and performs better with now, you still have time, there are still some long runs in the pipeline. Make sure you are comfortable running with what you have and that any gear you train in is comfortable as well. This is a small one but very important, make sure that any shorts, shirt, shoes etc. are comfortable. Make sure that your shoes have at least 150 – 200km on them so that you feet have had time to mold them. Don’t run this race in a pair of new shoes. All in all, make sure all your gear fits well and is comfortable to run in. Mental Prep is a big one, we will talk about pacing and strategy and what to do if it all goes wrong and it may do, a few times in your race, if you are better prepared then you are more able to deal with those. Pacing – You will start slow and how slow depends on your seeding but this is good thing, start slow and ease into the race, and don’t go crazy when your first gap to go comes about, ease your pace up slowly allow your body to adjust and make your way up to your prepared pace. You have done this a huge amount of times on the track now you implement it, override the impulse to speed up because you feel great, keep your pace. Also don’t be tempted to race the downhills, this will haunt you in the later stages of the race, take the downs as easy as the ups. Strategy – There are many facets to preparing a good strategy for the race, pacing was one of them, this actually falls into strategy, though I thought it deserved a special mention. First things first…. Visualize – This starts now, Visualizing in simple terms is focusing your mind and running the race in your head like a video the way you plan to and to see your self achieving what you want to. Just close you eyes and run it in your head, of course you don’t have to sit for 12 hours and do this, but just a shortened version, probably would take about 10 minutes but don’t set a limit, just relax and let your mind go through it one step at a time. There is a part of visualization that is not very popular but successful, write yourself a letter, congratulating yourself and celebrating your success. Give it to someone close and ask them to give it you at the end of your race. Divide the Distance – Standing on the start line and thinking to your self…. 90km, how am I going to do this is counter productive, rather in your strategy prep split your race up, now this can be done in many ways depending on your own needs, my suggestion is 10km increments, in my mind 9 10kms would be easier than 1 X 90km or 90 X 1km. You can also split it up into water stops. Set your self goals or rewards, if need be stop for a few minutes after each 10km. Whatever it takes you can trick your brain into thinking it’s easier than it is. Walking – Yes you heard me right, walking. Schedule walking into your race, whether it be at the ends of the 10km increments or at the tops of hills, schedule mandatory walks that must be taken and then walk whenever you need to. Hitting the wall – This could happen anywhere and anytime and also multiple times. The level of discomfort may vary and may have you sitting down and seriously contemplating whether to carry on or not. My suggestion is sit down for a while let yourself rest, after you have rested and closed your eyes and visualized yourself making it the rest of the way through then get up and walk, find someone who is either struggling as much as you or maybe join a friend who you can help motivate, remember, motivating someone else is going to help you to be more motivated yourself. Key is don’t give up unless you are either injured and that carrying on will cause more damage, or you are cut off. ‘When you feel like you are totally tapped out and feel like you have absolutely nothing left in the tank, you’ve actually only used about 40% of your capacity.’ David Goggins. There’s ALWAYS more left in the tank. In conclusion, this is a long race and completing it is no small feat. Prepare carefully, rather don’t go into the race winging it. Have a plan B, chances are that if you have a plan B, you won’t need it. This last 5 weeks is where you get to focus on getting your head right and fixing all the small things that could possibly go wrong. I will be sitting with each of my comrades athletes in the next month to have a chat and to help them with their prep. If you would like help contact me and we can schedule a session so I can guide you and help you prep. GO BIG…. AND THEN GO HOME!